The Comptroller and Auditor General (CAG), in its report on capital acquisitions by the Indian Air Force, criticised the air arm for being as responsible as the bureaucracy for delays in crucial purchases. It has also found inconsistencies in every step of the original 126-jet Medium Multi-role Combat Aircraft (MMRCA) deal. 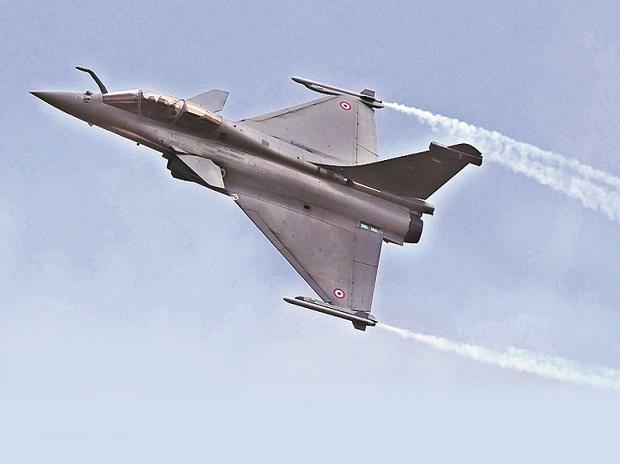 The report, tabled in Parliament on Wednesday, had said the Narendra Modi government’s 36-jet Rafale deal was 2.86 per cent cheaper than the 2007 MMRCA deal, which was finally scrapped in 2015. Leaving aside that headline, the report offers a deep-dive into the ills and complexities plaguing India’s acquisition policy not just in the case of Rafale, but other IAF purchases as well, including Apache attack helicopters, Chinook heavy lift helicopters, C-130 transport planes, and various weapons and training systems. The IAF lists its requirements for any aircraft or weapon in the form of Air Staff Qualitative Requirement (ASQR), which is supposed to define the functional parameters that it needs the product in contention to fulfil. The CAG noted that the IAF, instead of defining the ASQRs in terms of functional parameters, made it exhaustive and included detailed technical or design specifications deal after deal. That had several consequences. None of the vendors could fully meet the ASQRs and user needs were sometimes overridden; ASQRs were changed repeatedly during the procurement process and waivers had to be obtained for some ASQRs. “The objectivity, equity and consistency of the technical evaluation process was consequently affected. This created difficulties during technical and price evaluation and affected the integrity of competitive tendering, and also became one of the main reasons for delays in the acquisition process,” the report said. “Audit (CAG), therefore, recommends that the IAF should improve its process of formulation of ASQRs to ensure that they correctly reflect the users’ functional parameters. Exhaustive ASQRs with detailed technical or design specifications should be avoided, unless they are functionally necessary,” it said. The report also picked holes in almost every step of the MMRCA deal. Faced with impending phasing out of the older MiG 21, 23 and 27 fighters, and confronting delays in the LCA Tejas programme. It initially sought 126 Mirage 2000 aircraft, manufactured by Dassault. The to and fro between the government and the IAF, on the premise that single source procurement could not be allowed, needed four years. “Thus, four years were spent on deciding whether to procure the aircraft on single source basis or through competitive tendering. The audit noted that the Defence Procurement Procedure did not permit single source procurement and Ministry did not want to deviate from the DPP, there was perhaps no reason for spending six months discussing with Dassault and studying the feasibility of single source procurement and its licensed production. After that, even the Request for Information sent to five vendors “did not add much value, though it delayed the acquisition process by three years, from the formulation of ASQRs in January 2004 to issue of RFP in August 2007”. The CAG report also found deficiencies in the technical evaluation process, which actually led to the rejection of the Dassault Rafale, which could not meet 9 ASQR parameters, as opposed to other aircraft in contention such as the Eurofighter Typhoon, Saab Gripen, F/A-18 and others, which did not meet 4-5 ASQRs. The CAG report also said the benchmark prices set by the government were highly unrealistic, and that parity was not maintained while evaluating the bids of the final two contenders, the Rafale and the Typhoon. Finally, in March 2015, a team of independent external monitors, appointed by the Defence Ministry, submitted a report which said that the price bid of Dassault for the Rafale was non-complaint with the Request for Proposal and incomplete, and hence it should not have been considered the lowest bidder. Even Eurofighter’s bid was considered non-compliant. This led to the deal being scrapped. In April 2015, it was announced that India would buy 36 Rafales in flyaway condition from Dassault, as opposed to the MMRCA deal wherein 18 aircraft were supposed to come in flyaway condition and 108 jets were to be manufactured under license by Hindustan Aeronautics Ltd.